Ants: tiny and often perceived as insignificant, they are perhaps the most overlooked of all insects. In contradiction, some research states that many ants are actually important for the environment as they scavenge on other insects, spiders and invertebrates. This limits the population of herbivores (caterpillars for example) that consume plant matter. Their tiny tunnels can create irrigation pathways for water. And, just like bees, they can even pollinate some plants through seed and pollen dispersal. For these reasons, it’s important to know which ants a problem and which need to be preserved. Ant varieties that cause damage around the home need to be addressed, and it is best to hire a professional for this service. Pest ants often nest in and around buildings, congregate in food preparation areas, and have the potential to spread disease and cause respiratory problems through the matter they consume, destroy and shift. Ants feed on a wide variety of foodstuffs and can be predators or scavengers. Some species of ant can even burrow in wood, destroy electrical wiring and destroy home foundations including draining systems. And, as we know, the venomous bite of certain species can be dangerous and painful, especially if you have children on your property. 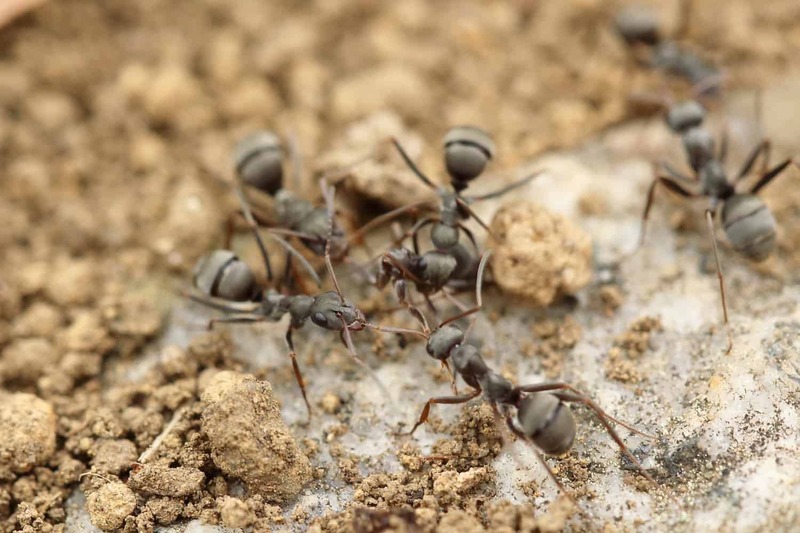 Should you experience an influx in ant population, call Ben on 0437077792 for fast, safe and reliable ant removal in Melbourne or regional Victoria.